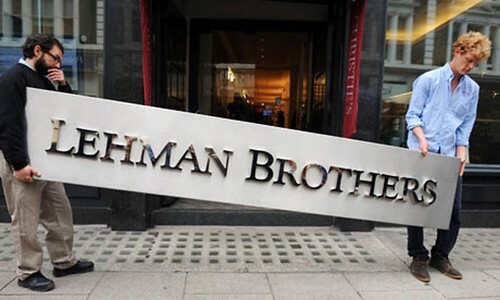 Lehman Brothers files for Chapter 11 bankruptcy protection, the largest bankruptcy filing in USA history. The 158-year-old firm, which survived railroad bankruptcies of the 1800s, the Great Depression in the 1930s and the collapse of Long-Term Capital Management a decade ago, filed a Chapter 11 petition with U.S. Bankruptcy Court in Manhattan on Monday. The collapse of Lehman, which listed more than US$613-billion of debt, dwarves WorldCom Inc.’s insolvency in 2002 and Drexel Burnham Lambert’s failure in 1990. Lehman was forced into bankruptcy after Barclays PLC and Bank of America Corp. abandoned takeover talks on Sunday and the company lost 94% of its market value this year. Chief Executive Officer Richard Fuld, who turned the New York-based firm into the biggest underwriter of mortgage-backed securities at the top of the U.S. real estate market, joins his counterparts at Bear Stearns Cos., Merrill Lynch & Co. and more than 10 banks that couldn’t survive this year’s credit crunch. Lehman shares dropped 81% in Frankfurt trading to 75 cents from their US$3.65 close in New York on Friday. UBS AG, HBOS PLC, and Axa SA led a decline of more than 3% for European stock markets on speculation a forced sale of Lehman’s assets could lead to further writedowns at other banks. 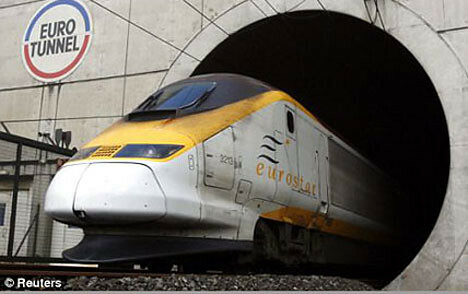 A major fire in Channel Tunnel broke out on a freight train. Part of the tunnel is closed for 6 months. Firefighters endured extreme temperatures and cramped quarters as they extinguished an intense blaze in the undersea train tunnel that has revolutionized travel between France and England. The fire deep under the English Channel left the British Isles cut off for more than a day from continental Europe other than by sea or air – the only routes that existed before the undersea tunnel opened to passengers in 1994. Laboring through the night, firefighters painstakingly worked toward each other from separate ends in France and Britain to combat the blaze, which broke out Thursday afternoon aboard one of the trains that whiz back and forth through the 30-mile tunnel, transporting trucks and holidaymakers’ cars. Firefighters spent no more than 15 minutes at a time inside the tunnel, because of the intense temperatures of up to around 1,830 degrees. The blaze was declared extinguished around midday. Five of 14 people injured remained in hospitals Friday, said prosecutor Gerald Lesigne, who was investigating the blaze. Officials said some people had inhaled large quantities of smoke; others hurt their hands by breaking the train’s windows to escape. Officials appeared to rule out terrorism as a cause of the blaze, one of the most serious incidents in the history of the tunnel that has made day trips between Paris and London possible by high-speed train. The fire was in the tunnel that runs from England to France. Its burned sections could be closed for weeks.The tunnel has had a few fires in the past, including one in 1996 that shut freight traffic for months. People suffered smoke inhalation injuries because they evacuated the train themselves before tunnel operators had ventilated away the smoke, as safety procedures call for. cyclone Nargis makes kills over 138,000 people in Burma. In early May 2008, Burma was struck by Cyclone Nargis, which left over 138,000 dead and tens of thousands injured, and 2.5 million homeless. 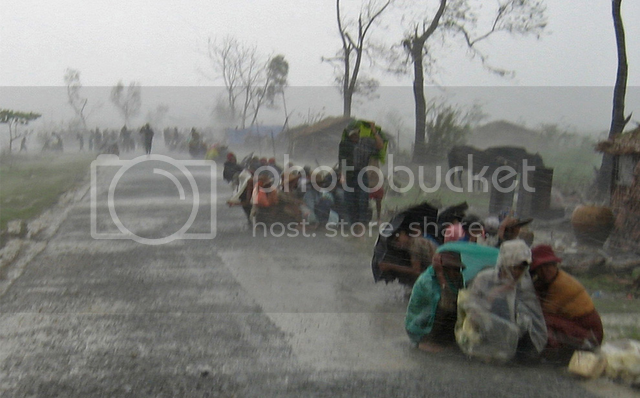 It was the worst natural disaster ever in Myanmar (Burma). Damage was estimated at over $10 billion, which made it the most damaging cyclone ever recorded in this basin. The Myanmar government estimated the storm completely destroyed 450,000 of 800,000 homes hit. Associated Press called it “Asia’s answer to Hurricane Katrina”—except it was much more deadly. Packing winds upwards of 195 kph, Cyclone Nargis became one of Asia’s deadliest storms by hitting land at one of the lowest points in Myanmar and setting off a storm surge that reached over 40 kilometers (25 miles) inland. Among the worst areas were Labutta, Bogale, Pyapon, Dedaye and Kyaiklat. More than 400,000 hectares of farmland were flooded with seawater and more than 200,000 drafts animals were killed in the Yangon and Irrawaddy areas. Before the storm hit this area produced 3.3 million tons of crops on 900,000 hectares of land in the monsoon season and 1 million tons of crops on 200,000 hectares in the summer. Initially some said that crops could only be raised on 40 percent of the damaged land and loses could clip two percent off Myanmar’s GDP for 2008 but after the disaster journalists reported that crops were raised in many places thought to be unable to produce crops. Cyclone Nargis was a rare, eastward-moving, low-latitude, strong tropical cyclone. It made landfall in the evening of May 2, 2008 and lashed Myanmar for three days. It sent a storm surges 40 kilometers up the densely-populated Irrawaddy Delta. Nargis advanced eastward along the coastal delta region, over rivers, other waterways and villages surrounded by paddy fields. The cyclone initially hit the land with wind speeds of up to 194 kph, and later accelerated to a top speed of 238 kph. The name “Nargis” is an Urdu word meaning daffodil. The Large Hadron Collider built by the European Organization for Nuclear Research is started in Geneva, Switzerland. The USA swimmer Michael Phelps becomes the first person to win eight gold medals at the one Olympic Games. The Large Hadron Collider is powered up in Geneva, Switzerland. Matti Saari kills 10 people in a school before committing suicide in Kauhajoki. Rod Blagojevich, The Governor of Illinois, is arrested for attempting to sell the United States Senate seat being vacated by President Barack Obama.